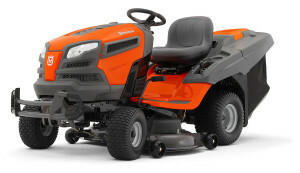 Husqvarna are well known for not only their household appliances, but for their lawn tractors and gardening equipment also. No matter what type of outdoor work that you have planned, from simply relaying a lawn to a full landscaping task, the Husqvarna lawn tractor range that they offer should be able to assist. The new range has been built to be extremely efficient and cost—saving, and many measures have been taken into account to accommodate for this. To begin with, every model has been designed from the start to have the ability to combine from tractors, to lawnmowers, trimmers and sometimes even diggers with various attachments. Safety features are also extremely high on the list that Husqvarna has written up when building the new range. Small details such as covers for the lower trimming blades have been widened to avoid any kickback should the blade become damaged at all. Every tractor comes equipped with a switch under the seat for safety. 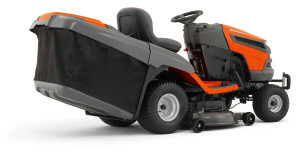 In the event of the driver falling off the seat, the cutting blades and the engine will have all power cut to them. This could potentially save lives and hundreds of possible injuries caused by other models of lawn tractors. This safety switch is extremely sensitive and due to the nature of it, must be checked often to ensure that it still complies with the relevant regulations. The cutting blades will also be switched off if the machinery it put into reverse gear. This is called Reverse Operating System (ROS) and was developed as when reversing, the driver will also look backwards at the same time so will not be paying attention to where the blades are going. When using a collector bucket on the front of the Husqvarna lawn tractor, the stability of the truck would naturally become lesser. A new cast iron front axle has been built specially for their models, which keeps the entire unit balanced and stable at all times. Three different versatile cutting options are standard with the latest range. They are called BiolClip, Collection and Ejection and each provides a different setup for varying uses and purposes. As the Husqvarna lawn tractors are built to last and are extremely strong, even attachment such as snowplows and trailers can be used without causing any extra stress to the equipment. A lot of thought has been put into the comfort and ergonomical aspects for the driver, this is because riding such a machine can be very arduous on your back and limbs and when in pain, concentration will naturally be lost. The seat has been angled so as to keep your spine as straight as possible and the steering wheel is ridges to fit perfectly between your fingers whilst driving. This too, has been angled for the comfort of the operator. Handle bars are placed besides the seating area to allow for easy readjusting of your seating position whilst moving.